Born and raised in Laredo, Martinez attributes much of his personal and professional success to his native roots. Raised by hardworking, yet humble parents, they proudly supported his athletic endeavors and encouraged him to ultimately take those talents to the collegiate level. His education began at Bruni Elementary, but it was at the Laredo Boys & Girls Club that he discovered basketball. He quickly found that he had a passion for the game and it led him to Laredo Martin HS and Tiger basketball. A 4-year letterman from 1971 to 1975, he was a top scorer and defensive standout. Named to several All Tournament team selections, he also received various tournament MVP awards. He was unanimously selected to the 1974 and 1975 All -District teams and was named All State Honorable Mention during his Junior and Senior years. Martinez finished his high school career as the leading scorer in Laredo Martin HS history at that time. He received an athletic scholarship to play at San Antonio College from 1975-1977 for Coach Ron Culpepper. He continued to McMurry University in 1977 where he was the first Hispanic recruited for the men’s basketball team under NAlA Hall of Fame Coach Hershel Kimbrell. His defensive skills proved to be an integral part of the winning tradition at McMurry with the lndians being back to back TIAA Conference Men’s Basketball Tournament Champions in 1978 and 1979. He was also a member of the Men’s Track Conference Championship team in 1979. In 1980, he graduated from McMurry University with a Bachelor of Science in Education. His passion for the game of basketball continued throughout 32 years of teaching and coaching at the high school level as a Varsity Assistant and Head Basketball Coach, AAU National Tournament Coach, and Basketball Camp Director. He was and continues to be a strong advocate for promoting and assisting South Texas athletes. His excellent motivational skills have aspired many‘of his students and athletes to reach their full potential via sports and education. Mr. Martinez also served as Boys & Girls Club Director in Mission. He received numerous awards and recognitions such as the White House Initiative on Educational Excellence for Hispanics Award and the Miradas de Esperanza Foundation Appreciation Award for hosting the 2nd Annual Blind Tennis & Visually Impaired international Friendship Tournament in 2015 with representation from 16 countries. Martinez also received the South Texas All Staff Conference Boys & Girls Club Administrator Awardand was named Texas Regional Director of the Year in 2016. 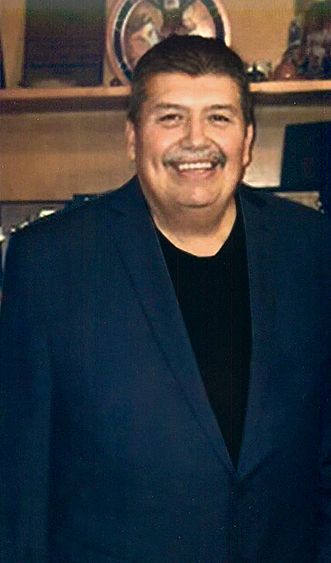 Martinez is currently retired, but continues his work as advocate and motivator for the youth of South Texas. He and his wife, Nelda, reside in Mission, TX.